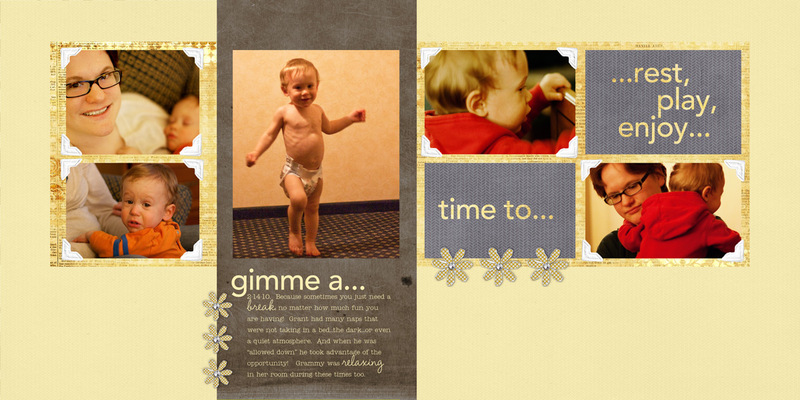 I am currently working on a class through ReneePearson.com called Text Fx. The instructor is Tiffany Tillman and she does a great job teaching! Having a bit of fun this evening working on text in Photoshop Elements. Here is the result of my work…enjoy! The fonts I used are Amelie and Impact. 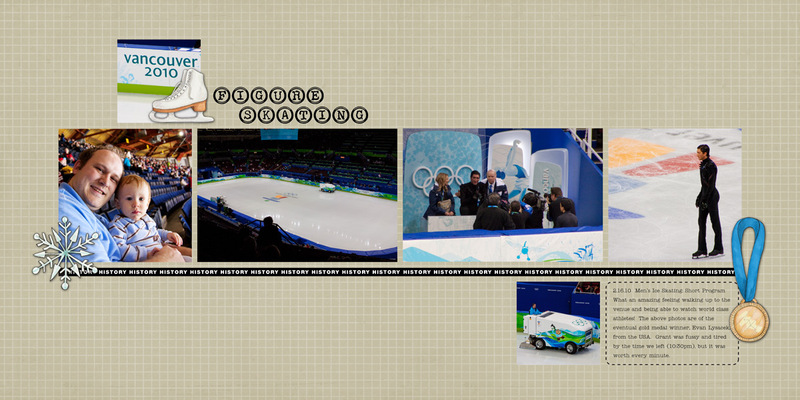 The first Olympic Event that we were able to view was the men’s figure skating short program. This was Tuesday night after our shopping trip to Granville Island. It was definitely a long day, and Grant was pretty cranky by the end of it. The seats were so close together so he didn’t really have any where to run so Chris and I traded off going outside the seating area to let him run around. I ended up putting Grant in my baby wrap and letting him sleep at the end and watched from behind the seating area. I must admit was one of my dreams to be at an Olympic figure skating event. It was pretty awesome to see those guys live and in person. I couldn’t help but think, however, that they put so much work and effort into simply skating, and likely it is the main focus of their lives. So where is God in all of that? I am sure that the Christian athletes struggle with the priority of God in their lives just as much as I do, and right now my responsibilities are a lot less public. I hope that I make God more than an afterthought or just an extra “add-on” in my life…because in the end He is all that matters. While typing the title I realized I never took a photo of the outside of our hotel…but we did take a lot of photos inside. Those inside times tended to be the craziest for Grant (he was running around just being himself). That included climbing in and out of our suitcases, opening drawers, trying to chew the remote and telephone, and other crazy baby past-times. Chris picked up my camera on a few occasions and started taking some photos of Grant and me. That is kinda a rarity and I really appreciate him taking those photos…especially when Grant was so tired that he ended up sleeping in my lap (love those times). Our hotel was the Marriott Waterfront in Seattle and it was in a great location. Walking distance to Pike Place Market and transportation to the Space Needle, as well as a quick taxi ride to Mars Hill Church (more on that later). We slept pretty good aside from the 5-5:30 wake up calls from Grant as he adjusted to the time change. Good times. Jessica Paige from One Willow Studios is hosting a giveaway of her Retro Candy Presets for processing RAW camera files on ACR or Lightroom. Two ways to win: post a comment on her blog (http://www.jpaige.net/?p=1116&cpage=1#comment-284) or post a comment on Facebook or your own blog and let her know about it in the same place. You can do both and be entered twice. Good luck! Here we go again…but bigger (maybe better)! Ok, so don’t tell my hubby but I have signed up for another scrapbooking class…finally putting that birthday money to good use. Haha. 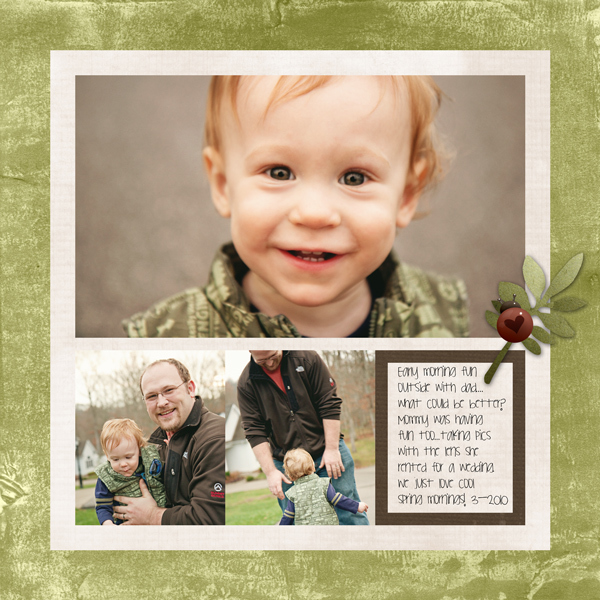 But seriously, I am going to TRY and use this class to put together Grant’s one year album, which I would LIKE to be done by February, but probably won’t finish until the end of this class in March. Close enough for my liking. I have so much exciting stuff that is coming in the next few months…better take a breather while I can. Anyways, sorry for the rambling, but if you want to check out the class it is “Design Your Life” at bigpicturescrapbooking.com!